Billie Faiers’ baby stroller is on sale in Lidl for just £49.99 during the supermarket’s massive baby sale, which launched today! If you’re a fan of Billie Faiers’ signature range of baby strollers, My Babiie, then you’ll be pleased to hear how you can save over 44 per cent this week. The Mummy Diaries star’s stroller is part of Lidl’s massive baby event and will be on sale for just £49.99, down from £89.99. You can get the lightweight stroller in pink or blue stripes, and it’s even suitable from birth up to 15kg – making it perfect if you’re expecting a baby soon or looking for a buggy that’s suitable for your toddler. The strollers boast ‘great manoeuvrability and easy handling’ and have lockable front wheels, an extra large shopping basket plus, a handy cup holder and rain cover. Billie often posts about her strollers on Instagram and was still pushing little four-year-old Nelly around a couple of years ago in one. Lidl’s baby sale boasts lots of other great bargains including savings on high chairs, cot beds, monitors and a Tommee Tippee healthcare kit. The kit includes a thermometer, toothbrush, brush, scissors and aspirator for just £9.99. Save over 40 per cent on the Motorola video monitor, which costs £39.99 in the sale, and get your hands on lots of cute swaddle blankets for just £7.99. The offers are only available in store and as always, it’s until stocks last so you’ll need to be quick! 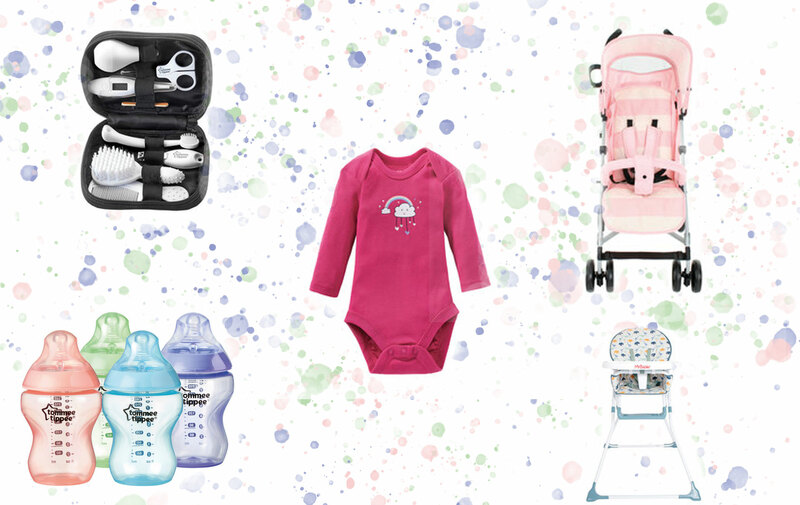 There are over 700 Lidl stores across the UK and you can check the Middle of Lidl tab on their website to see the full range of baby sale products available. Want to be the first to know about the BEST bargains at your favourite supermarkets? Join our exclusive Facebook group! Will you be heading out to Lidl’s baby sale? What items are you keen to get your hands on? Head over to our Facebook page to let us know your best buys!